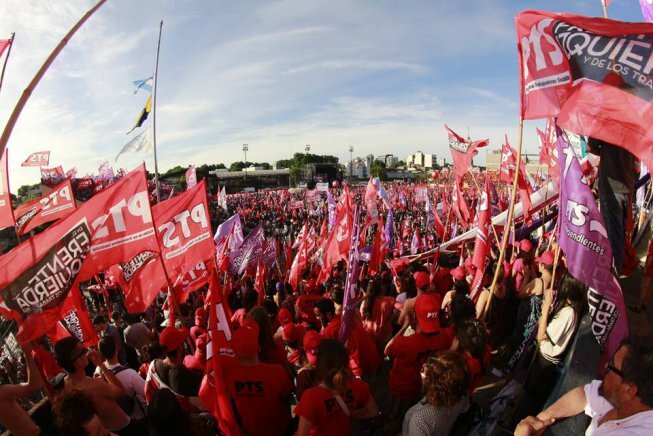 An American Left Voice writer learns from the PTS, a Trotskyist Party in Argentina. These are his reflections on internationalism, party building, the union bureaucracy and the fight against oppression. 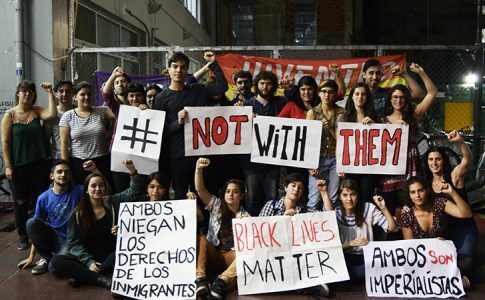 Having spent nearly two weeks in Argentina as part of a delegation from Left Voice engaged with workers in struggle against massive multinationals, touring workers’ controlled factories, meeting with the militants of a most dynamic socialist women’s organization, observing elections in which an explicitly revolutionary socialist front took nearly one million votes; there were definitely inspiring impressions made. But inspiration alone does not build revolutionary organizations. It was in the discussions with the leaders and rank and file of the Partido de los Trabajadores Socialistas (PTS) and their international current, the Trotskyist Fraction (FT), and among other experiences, that proved the importance of bringing lessons from Argentina to America. Five lessons to be exact. A sixth might include how mate is to be served; a seventh, how best to cook a steak, etc but as it pertains to building the revolution, these five below should suffice. 1. Constant and practical internationalism through a digital and print news network. Left Voice is just one piece of a larger network that began with La Izquierda Diario (LID) in 2014 in Argentina. In those three years the LID network has grown to include news-sites and magazines in 11 countries with news and analysis in five languages. In terms of readership, 20 million people have visited the sites of the network with 400,000 visiting monthly on average, and in Argentina, the Diario receives 2 million views monthly making it one of the most read news-sites in the country. But, it is not the breadth and reach of the ideas that is impressive, but rather how the papers and sites have become a collective organizer. A scaffolding is being erected by the production and dissemination of such a network in each of the 11 countries in which LID is active, and in Argentina at least, that scaffolding has augmented a party that can influence national and international politics. The network adds to a working class program with each article written, and the many dozens published daily in the many sites helps to craft a blueprint to revolution. And because it is an international network, the current reality of each country and the world as a whole is grappled with by militants of the many countries. 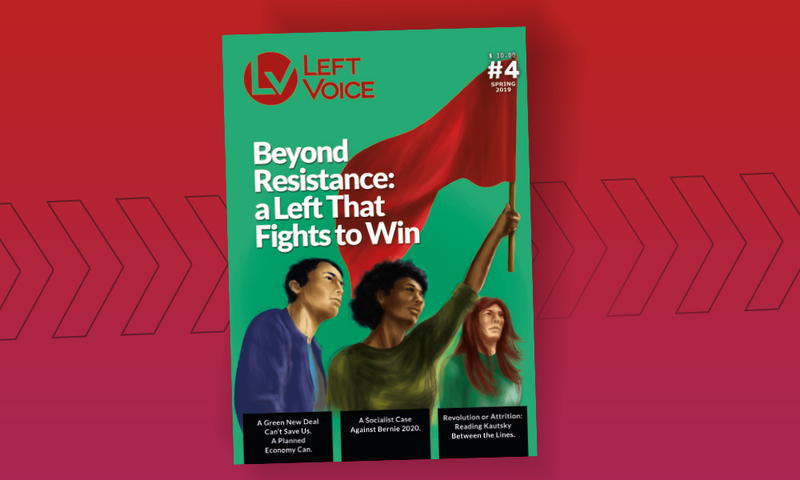 For examples, the Left Voice delegation was in Buenos Aires during the murderous Charlottesville neo-Nazi rally, within hours LID had put out an article, and naturally many PTS militants were asking us about the US far right, its strength, and how to combat it. Even now, the Diario has written a fair number on the devastation of Hurricane Harvey and the human and political crisis caused by capitalist climate change. As another example of the relation between readership and building scaffolding through constant assessment and analysis, there is the Esquerda Diario. 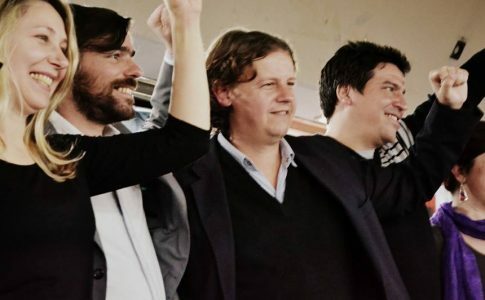 Esquerda Diario, the news-site of the network in Brazil, reached hundreds of thousands of readers during the height of the Dilma coup with a position that spoke to the growing left wing – including those within the Workers’ Party – that opposed both the coup and the concessions of the PT. The Diario allowed a small grouping, the Revolutionary Workers Movement (MRT), the Brazilian section of the Trotskyist Fraction to build a periphery larger than it could through the traditional methods of growing in the ones and twos over many years. In these ways, the reading, writing, and translating between the five languages has created an internationalism not made up of conferences here and there, but one that develops constant political exchange between the different national sections and soon-to-be sections. The ambition of Lenin was to build a workers’ newspaper for all of Russia; with the technology of this day and age, FT intends to build a paper for all of the Americas and throughout the world. 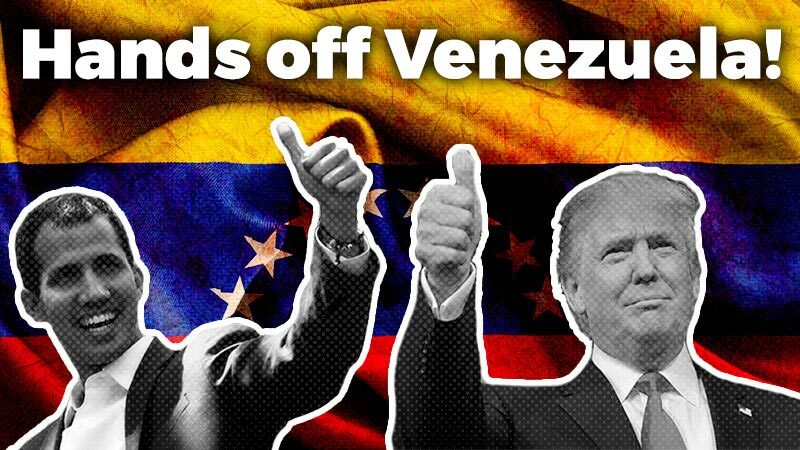 Given the importance of internationalism to socialist workers and the revolution, and especially because of the role of US imperialism, it will do well for revolutionaries in the US to continually be thinking and organizing globally. LID makes that a possibility. 2. Sufficiently developed organs with the capacity to turn local events into national and international examples. The Trotskyist Fraction has assembled an international tendency, while the PTS has sunk deep roots into the class struggle of Argentina. This was a product of consistent and deliberate implantation into the working class through militants taking strategically oriented jobs and recruiting worker leaders, with members going on to lead struggles throughout the country. We in the US know that this needs to be done, and soon. But, the way in which the local struggles at Zanon, as well as at other factories such as Kraft, Brukman and others, became national and international news was because of the important work done through the conduits of early iterations of the PTS paper. The wider, and quicker, circulation of the more recent news of Mady Graf and PepsiCo indicates the increasing efficiency of the current news-sites. Additionally, the structure of the party also allows for rapid response to changing conditions. This is what we must study. 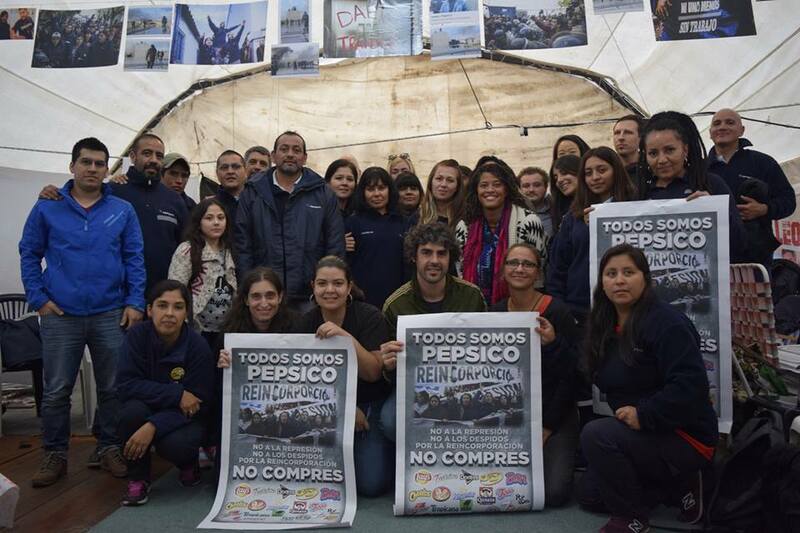 Left Voice delegation supports PepsiCo struggle. The PTS is a party of only a few thousand, but it punches well above its weight and moves easily between periods of low struggle to moments of rupture. This is an organizational question as well as a political one, and though our Argentine sisters and brothers have the advantage, if such a word can be used, of living in a semi-colonial country with a considerable history of struggle and near-revolutionary moments, and a leadership trained in these periods, we should endeavor to learn how our fewer revolutionaries can create an organization such as the PTS. We need not reinvent the wheel for the next two decades if we investigate correctly. That means establishing a media that can turn every example viral, a path started by Jacobin and joined by other publications including Left Voice. Of course, to broadcast some pattern, an example is required in the first place. These instances can occur spontaneously, but they are also primed by left militants. The prototypes favoured by the PTS are those that illustrate the independent power of the worker class to run plants and build hegemony in communities, as a small taste of what can be accomplished by a revolutionary workers’ government. The operation of the reclaimed factories are not to be fetishized however, since a cooperative lifeboat cannot survive in a capitalist sea, but used as bases to spread the hope that workers can command industry democratically, while fighting for the nationalization of such factories and production. These red bases also serve the people in a meaningful way, through childcare and cultural activity and other collective enterprises, proving that the profit motive is not the only basis to structure life. In our country, left and labor is in desperate need for examples of rudimentary fight back and class independence, let alone ‘Soviet’ samples to uphold. These will occur naturally, but we must also do as much as we can to ‘prime the pump’ in our workplaces – through shopfloor militancy – and elsewhere. Regardless of how struggle flares up, Left Voice and all socialist organizations must take a calculated approach to how comrades spread throughout such a large and heterogenous country can work together through the existing organizations to generalize lessons, and spread that struggle rapidly. The comrades in Argentina probably read more James P. Cannon and Farrell Dobbs than most American revolutionaries, and they speak passionately on how the ‘34 Teamster strikes in Minneapolis built the Communist League of America and how the strikes of 1934 demonstrated the power of the rank and file of industrial unions. This concrete proof would be the spark of the even larger strikes of ‘37 and beyond. Like May Day, we must recover our own history! PTS at a 20,000 person rally in Atlanta soccer stadium. The correct line of the revolution drives between the twin dangers of ultra-left sectarianism and right opportunism, which are both just different aspects of the same disdain or inability to fathom the ability of the working class to take control of it’s own destiny. To navigate this pass, it is important for revolutionary groups to be flexible to the changing conditions of the world and malleable to the appearance of spontaneity and phenomenon occurring outside of us. And to do this without sacrificing revolutionary principle or being pulled by the currents. Every Marxist knows this obvious platitude, but the histories of the FT portrays that line tangibly because the FT has faced this fork many times in the decades of formation, and at each juncture, it pushed forward. In Brazil, this was embodied by the Esquerda Diario speaking directly to the left and for the left on the path forward during the coup against Dilma and the subsequent Temer government, and this by patient explanation of how to oppose the right and the betrayals of the then-ruling Workers’ Party. The Diario was thus a constant voice calling on the working class and other sectors to mobilize as an independent force striving for its own power. This orientation was further manifested in the campaign of the MRT to join with the Party for Socialism and Freedom (PSOL),a party formed from a left expulsion from the PT. This later campaign has not yet been successful, but because of the intransigence of the rightwing of the multi-tendency PSOL. Still, the MRT speaks to the left of these parties. 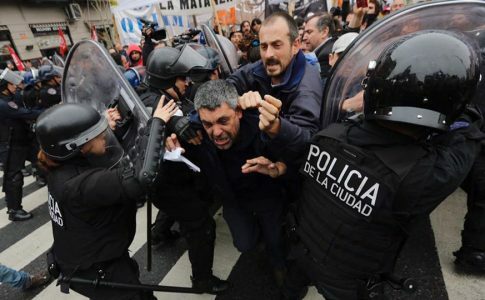 In the unions, some of the most important work is being done and it is being done via slates and caucuses formed in opposition to the bureaucratic methods that have corrupted Argentine unions in the same way business unionism has debased the US labor movement. It goes without saying that the problems of each nation’s unions arise from varied histories of cooptation and repression, but at the root, the catastrophe is one of collaborationist leaderships. The solution is an empowered rank and file bolstered with a socialist party and inspired with revolutionary aspirations. Camilo, a leader of the shop floor committee at PepisCo. The PTS militants within the subway workers’ union of Buenos Aires offer a model of how Trotskyists ought to operate inside of unions. As a matter of principle, and one that would serve us well here, the PTS militants do not build ‘red unions’ and they do not choose to split themselves from working class organizations. Instead, they persist in taking back the unions from conservative leadership. 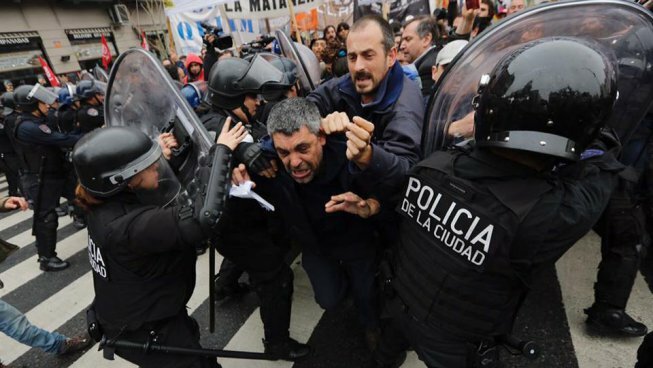 In Argentina, this is an often difficult and violent fight, and yet, they fight within the unions nonetheless. Within the UTA, the main transit union of the country, leftists pushed the union to struggle for the previously standard six-hour day and the end to the labor reforms and flexibilization that was the result of the privatization of the subway system some years prior. This fight won concessions from the union leadership to run delegate elections of which the left stood on a platform of ‘sindicalismo de base,’ or a kind of rank and file unionism as we know it. PTS and militants of other socialist organizations contested every position they could in a bid to retake the union, and did so alongside direct action against the boss. With each strike, particularly around unjust firings, they won the confidence of the rank and file. As opposed to building dual organizations outside of the union or of becoming a permanent opposition that merely criticized the thoroughly corrupt UTA bureaucrats, socialist union militants get their hands dirty in the elections and struggle to retake the union. This is an important lesson to remember. A second stems from how upon expulsion of elected delegates from the UTA, the workers of the subway voted to form a new union. The PTS, generally opposing splits in the unions but always determined to be on the left of new phenomenon, joined the call for that new union. This ‘mechanism of defense’ still represented all the workers it had previously and was a maneuver based on changing political circumstance. The two lessons may appear inconsistent, but they are derived from a strategic flexibility with class independence as the guiding star. Within the new union, the militants of the PTS are currently in slates opposite the new leadership, who though from the rank and file, exhibit all the same bureaucratic tendencies as the old bureaucrats because of the contradictory roles of unions under capitalism. The need of a Party to hold worker-militants accountable to the real interests of the rank and file and to continually lay out the need for revolution – is the second lesson – because by itself simple bread-and-butter syndicalism will invariably change the new guard into the old. To orient towards the left of growing phenomenon in the unions means to fight for union democracy and immediate demands, but always in the service of developing workers’ struggle towards a politics of class independence and insurrection. This requires being in the unions – and not on the outside as the ultra-left demands – and to be in the unions as open socialists and builders of a Party, facts that opportunists would prefer to hide. In the larger politics and in the unions, to be responsive and on the left is to have an ear to the ground and not to be deaf to that around us, but also ready to stand up quickly and speak for what we know to be true, that a revolution is necessary and that necessitates a revolutionary party to take power at the head of revolutionary organs of the working class. 4. Through the organs and the Party, there is synthesis between the electoral work and class struggle. The Frente de Izquierda y de los Trabajadores (FIT), of which PTS is a founding member, is an example of being an ideological pole within the left of phenomenon, and one not mired in sectarianism or opportunism as cautioned against above. It is also a symbol of the bringing together of the electoral activity and class struggle work. Forming the FIT was a strategic reorientation that took into consideration the continued low levels of shopfloor class struggle in contradistinction to a reality in which struggle was happening in the political realm. This is to say that though there were instances of class struggle in the strikes and occupations of specific factories and these could be highlighted and brought (inter)national as the above points outlined, it appeared that the political struggle was a more fruitful avenue towards the masses. Like the news-sites, elections are another front with which to disseminate local struggle. Not only are FIT elected Congressmen on the frontlines alongside workers and students at picket-lines and highway blockades and scuffling with cops outside occupied factories with the consequent media opportunities, but they also skirmish on the floor of the Chamber of Deputies for new laws that would support the class struggle on the ground, such as laws that confirm the workers’ control of plants like Mady Graf and others for nationalization and subsidies for such factories. This all while running highly publicized campaigns for transitional demands like the six-hour day for eight-hour pay and other demands that would force the rich to pay for the crisis that they caused. The struggle of the PepsiCo workers weeks before the PASO, which is the poll-like primary elections in the country to decide which parties have the minimum support to run in the general elections, influenced the vote tremendously and won the FIT greater support amongst the working class and within the poorest areas of the country. 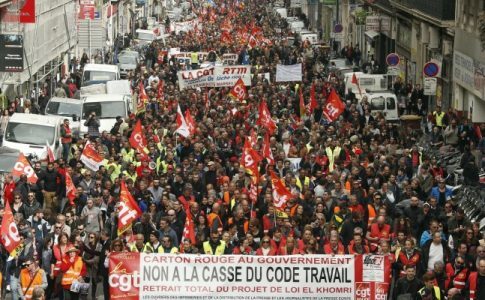 If treated as auxiliary to, but not a replacement for, class struggle, the electoral activity can strengthen workers’ position and serve as a measure of class power and independence. Thus, the greater the struggles, the greater the results and vice versa. Of course, it should be noted that like in many things, the electoral system in Argentina is very different from ours. It should be further noted that the levels of class consciousness and action is very distinct. And without a more robust – or really just moving at all – labor movement, US socialists could make a mistake of putting too many eggs into the electoral basket. But, at the very least, socialists, if they do run, ought to do so as open socialists and completely independent from the parties of the rich. And all should be used to amplify workplace militancy. 5. The PTS and the FT bring together the fight against exploitation with the fight against oppression. The victorious triumph of the working class over the parasite class is not one of the industrial male worker winning better and better wages, forming battalions, and seizing certain seasonal palaces. It must be more than that. Revolutions must upend every oppression, and not just because the white male industrial worker is a tiny number compared to the actual demographics of the international working class, but because revolution must take the perspective of the most exploited and oppressed. Unity found there will withstand all the reformist concessions and cooptions, and strike at the root of each problem, while every failure to tackle racism, sexism, homophobia, adds to the divisions within the working class. The PTS has made a point to fight against every oppression in every struggle it finds itself in. And they do so not in an ad hoc way, but, understanding that political commitment requires organization otherwise well-intentioned principle can be dropped by harried comrades, the PTS formed the Pan y Rosas womens’ group. This organization, born in the crucible of the Brukman factory takeover in the need to organize women workers, was formed to emphasize class independence within the larger women’s movement. 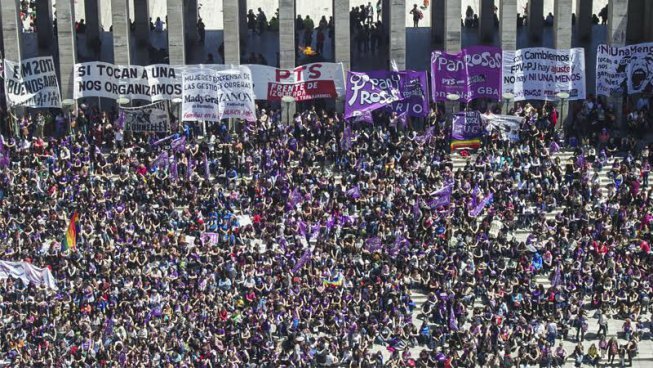 It debuted as a small intervention into a national annual women’s conference, but has since grown not only in Argentina, but internationally in Brazil, Chile, Uruguay, Bolivia, Mexico, and the Spanish State. Pan y Rosas delegation at the 2016 National Women’s Conference. Within the factories, militants maintain women’s commissions of workers and family to strengthen the organizations and investigate individualized problems and collectivist solutions, particularly on the matter of childcare. These commissions also carry out the less glamorous and gradual agitation against sexism within a working class beset by capitalism and prejudices that have taken lives of their own. Outside the plants, Pan y Rosas confronts the State for political and social equality in reforms that are sometimes won, sometimes lost, but never secure until “the last capitalist has been hanged with the entrails of the last bureaucrat” as the graffitti walls of Mai ‘68 used to say. The campaigns for abortion rights and against femicide and violence being high bullet points on the shortlist, and these fights are led by the women of Pan y Rosas but includes people of all genders. In these ways, PyR, in both the workplace and the political realm, is an organizational tactic that evinces the strategic necessity of women’s liberation and develops women leadership within the Party, women won over through the organization. In the US, sexism is a critical oppression and the strategic necessity still stands. And racism is a cornerstone of American capitalism. As such, socialists must grapple with these obstacles, and we are learning how to include those fights in everything we do. The formation of Pan y Rosas clarifies how the questions can be formulated and how they can be solved in practice. These five lessons emanate from a more general focus of the groups, and if there were two watchwords for the PTS and the broader Trotskyist Fraction in how they have found some success in building an energetic international current, those words would be strategy and creativity. Strategy entails careful calculation on separate theaters of combat, and taking from Engels’ conceptualization of three spheres of struggle, the PTS employs organized intervention into all three. In the economic front, there are the clashes with the boss and the conservative union leaderships that hamstring workers’ struggle, and on the political, the FIT. Tying these two together, is the ideological stage set by La Izquierda Diario network. In each of these theaters, FT takes seriously the idea that decisions made are of great consequence, from the leadership down to the rank and file. That is, the Fraction is where it is today because of resolutions and risks made consciously and after much deliberation from the whole of membership, and if “war is the continuation of politics by other means” then politics is a kind of war and strategy matters. Clausewitz is taught in seminars and there’s a reason the Estrategia Internacional is a published, and well read, magazine of the Fraction. It was quite impressive, beyond the discipline of the militants and their devotion to the cause, how the larger questions of the day, the ‘big picture,’ was a constant in all discussions. And this, with the same importance and clarity as the more particular tasks. There is a tendency, perhaps just amongst the American left, to have two-tiers of membership; one made up of the ranks who execute local work and another of cadre who help steer the organization. This is rarely a distinction made by party rules but one made in actual practice. In Argentina, it appears, that every member is a cadre, with all the corresponding strategic thinking involved. In the field, the PTS is creative and rarely employs the same tactic twice, instead relying on novelty to act and react to the bosses and State offensives. On picket lines, and especially with road stoppages, the party finds ways to outsmart the police, win support from the public, and strengthen the independent power of the working class. This might seem like a minor detail, but the synthesis of deliberate long-term thinking and quick improvisation might be a reason why the PTS has grown and has grown particularly well within the youth and the working class. And with these five lessons, here’s to the rebuilding of the American left!